Glencadam is a little known distillery that is located in the eastern Highlands town of Brechin. 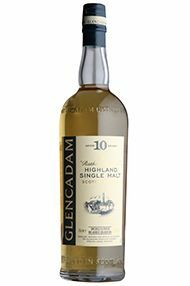 The 10 year old bottling of Glencadam is a subtle, smooth style of Highland malt. Nose: Lively, intense. Grassy freshness and citrus tones with hints of spicy oak. 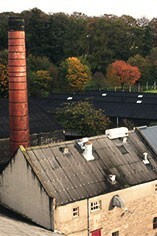 The Glencadam distillery has been founded in 1825 near the royal burgh Brechin in Eastern Highlands by George Copper. In 1954 the distillery was revived and modernised by Hiram Walker of Ballantine's group, that much favoured Glencadam for their blends (Ballantine and Stewart's Cream of the Barley Blends). Allied Distillers closed the distillery in 2000, but in May 2003 Angus Dundee Distillers came to the rescue as the new proprietors to resume the production. Glencadam is a notably creamy malt, smooth to start, developing strawberries and candy nuances.